Patria CEO Olli Isotalo says the firm made a mistake in allowing a Finnish man to market its products in Uganda. The man was found dead in Kampala last week. A Finnish man was found dead in a Kampala hotel room last week, after travelling to the country to sell weapons on behalf of the majority state-owned Finnish defence contractor Patria. Officials are investigating the incident and haven't yet ruled out foul play. 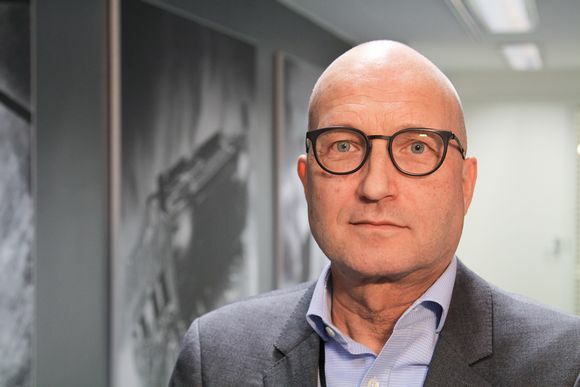 Patria CEO Olli Isotalo told the Finnish Broadcasting Company Yle that his company was wrong to grant permission to the man to market Patria products in Uganda and Mozambique. The man who died in Uganda had first made contact with Patria at the beginning of last year, offering his services. Isotalo says he had previously done marketing work in several other countries. Patria did not enter into any kind of agreement with the man at this time. He contacted the defence contractor again in January of this year, saying that he would be leaving on a business trip to Uganda and Mozambique. The Patria sales director agreed with the man that he could present Patria products during his travels, as the man said he would be meeting with several ministers. Isotalo says the sales director did not have the authority to grant this permission, however. "There was a lapse of judgment because a permit would have also required a superior's consent and a proper investigation in line with Patria protocol," he said. Patria confirmed on Monday already that the man had also intended to market Patria defence products on his trip, but that it had no official contract with him. The company says that it had done a background check on the man, but found nothing to prohibit collaboration with him. But another important check remained undone. "Among other things, Uganda is on the Transparency International list for human rights violations. Patria is not seeking to enter into trade with them," Isotalo said. Former minister and National Coalition Party MP Suvi Lindén accompanied the man on the trip, a fact that Patria says it was aware of. The defence contractor however denies that it has any form of cooperation with Lindén. Foreign Minister Timo Soini said on Tuesday that his ministry is following the case closely. "The incident has raised some concerns and rumours, but there is still no information about the cause of death," he said. Soini added that there are no valid export permits for arms trade with Uganda in Finland at the moment.